Content is King: Make sure that your site contains engaging content that your readers want to share. 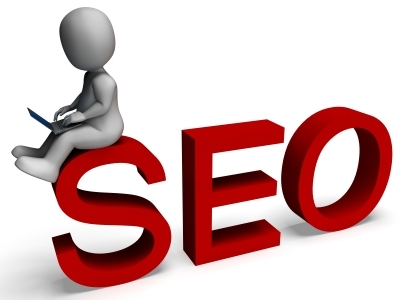 A sure fire way of having your site rank well in search results is to ensure it contains great content. A great place to start is with a blog that is updated at least twice a month. Social Sharing: Add buttons to all pages that allow users to share your content to social media. When a visitor likes what you’re saying, you want to encourage them to shout it from their ‘social’ rooftop! Be it Facebook, Google, Twitter, LinkedIn, Pinterest, Stumbleupon, etc. Make sure your site is fast and easy to navigate: The easier it is for a human to navigate, the easier it will be for Google’s ‘robots’ as well. Google also punishes pages that have a slower than normal page load time. Never ever repeat content: Don’t post the same content multiple times all over your website. Design your site so that all related content is grouped intelligently together. Link your site to other sites: The key to any good site is how relevant the information is to your readers. To improve a website’s credibility, other credible websites must link to content on your site. Some of this is achieved by relationship building and some by having excellent content. Get a Google Plus page: Create a Google+ page for your website and link them. Make sure your Google Plus page is active. Do this by posting engaging content and constantly building your follower base. Optimise every webpage: Think of a key message for each page and design your content around that. Make sure you utilise H1 title tags and meta descriptions. Also, periodically run checks on every page of your site to ensure there are no errors reported by Google.